Statistics Canada has taken the rare move of pulling an unemployment report offline, due to “an error in processing” of July’s labour market numbers. StatsCan’s most recent unemployment report, released last Friday, was no longer available at StatsCan’s website as of Tuesday. Instead, there was a notice advising that revised numbers will be released this Friday. StatsCan's reputation will take a hit from the revisions, BMO economist Benjamin Reitzes told Reuters. "The labor force survey and employment numbers were already questionable as to their accuracy on a monthly basis given the volatility there," he said. It’s unknown whether the revised numbers will paint a better or worse picture of Canada’s job market, but Reitzes said he expects the "underlying softness in the Canadian labour market probably won't change much." Friday’s report certainly came in worse than analysts had been expecting. It showed a stagnant labour market, with Canada creating only 200 net new jobs in July. The unemployment rate fell to 7 per cent, from 7.1 per cent, as discouraged job-seekers gave up looking for work. Market observers had been looking for 20,000 new jobs to be added in the month. Those weak numbers led to hand-wringing by experts who noted that the details were particularly harsh: Canada lost 60,000 full-time jobs in July, with a near equal amount of part-time jobs offsetting the loss. Ontario alone lost 29,000 full-time jobs, but gained enough part-time jobs for a net gain of 15,000. Even Alberta recorded a loss of jobs in July, with 5,000 jobs disappearing from the province. All of these numbers are now in doubt, pending StatsCan’s revised numbers on Friday. 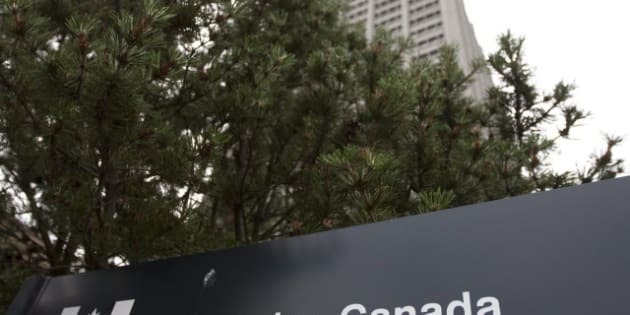 “Statistics Canada takes this matter very seriously and is immediately launching a review of the data verification processes in place,” the agency stated on its website. It said it would publish the results of its review as soon as it is available.